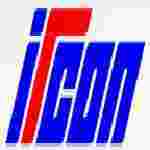 IRCON ISL recruitment 2017 notification has been released on official website www.irconisl.com for the recruitment of total 19 (nineteen) jobs out of which 05 (five) vacancies for Project Engineer, 05 (five) Assistant Project Engineer & various vacancies. Job seekers should apply on or before 31st December 2017. Here on this page you will get the details like the Name of vacancies released by IRCON ISL with exact number of posts. Some other criteria like Education details, application fee and way to apply application for IRCON ISL recruitment 2017. Educational Qualification: Degree in Civil Engineering with not less than 60% marks. M.Tech shall be given preference. Age Limit: Not born before 01.11.1972 for Project Engineering & 01.11.1982 for Assistant Project Engineer. Interested and eligible aspirants may apply in prescribed application form along with self-attested copies of relevant certificate, Document & envelope superscribed application for the post of “_______” Advt IISL C04/2017 send to Chief Executive Officer, IRCON Infrastructure & Services Limited, C-4, District Centre, Saket, New Delhi – 110017 on or before 31.12.2017.